Last weekend I finally had the chance to visit Mercado in Antwerp. It’s a giant foodhall where you can find different stands with the latest streetfood but all in 1 über trendy location. For a list of all the different food stands visit this link. I had been planning a trip to Antwerp for such a long time, but never quite found the right time to visit until last Friday. I had a list of all the foodstands that I wanted to try out and let me tell you : it’s food heaven! We opted for Mexican and choose the chicken taco’s & pork wraps at Mixco. We bought our cocktails at Spirits bar . I had a raspberry mojito & the BF choose a long island icetea. After our delicious Mexican meal I was eager to head to the Bubble Waffle stand and check out their signature style waffle. I just had to taste it. 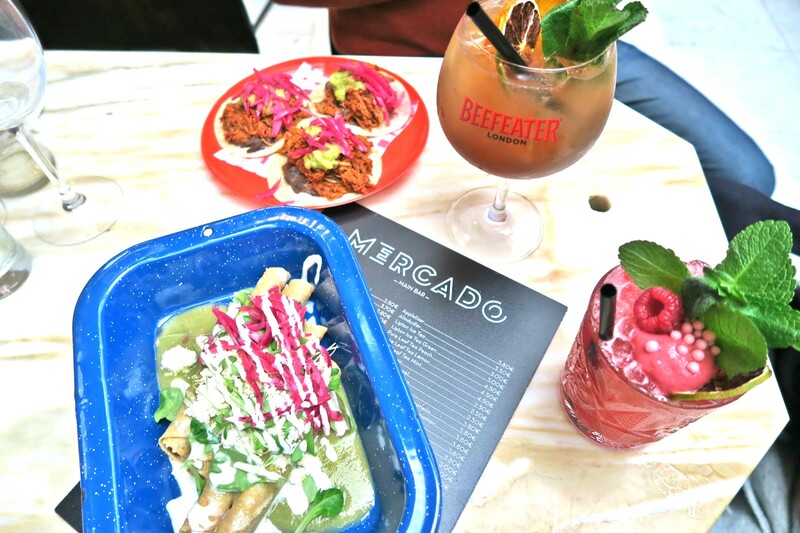 The excitement levels were high at Mercado and it didn’t disappoint. Will I be going back? YES! Definitely! -it’s slightly expensive, but totally worth it because you’ll get fresh ingredients ( & the food looks like little pieces of art). -There’s a public parking lot in front (groenplaats), but be prepared to pay for this top location! -It’s easy to reach with public transportation. -visit during off hours or during week days. Seating is limited. - I found it a bit chilly inside so if you get cold quickly like myself, dress accordingly. - be prepared to share your table with other people. - check when there is live music for the best of both worlds. - be prepared ….for a FOODCOMA!